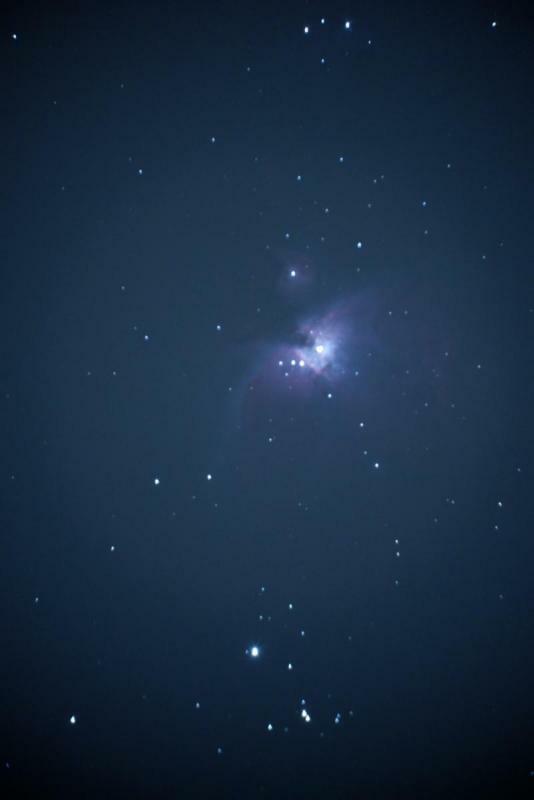 Got my first photo of the Orion Nebula. No editing, likely not perfect focus, and I think my collimation could use a little tweaking, but I like it. Took it from my balcony in Mesa, AZ. 20 second shot. C6 on an evolution mount. No filters. Daddy like....very nice! Thank-you for sharing.